Music and Magic Duo Cecile and Mighty. 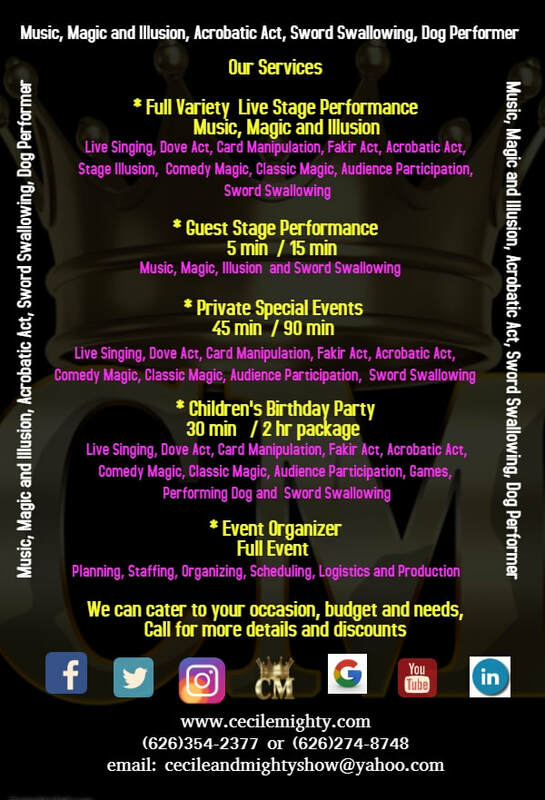 A husband and wife team combining live singing and the feats, strength and mystery of magic, illusion and sword swallowing. The couple can entertain a variety of audiences with a number of performance combination that suits the occasion or event. 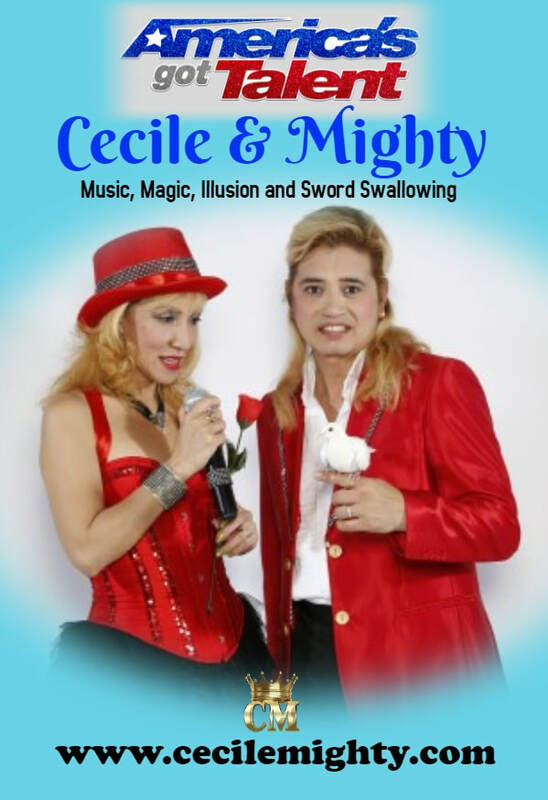 Cecile and Mighty are regular performers at Flappers Burbank and Claremont. They are a common name in the Los Angeles entertainment scene. Their recent accomplishment is performing on television for the final rounds of America's Got Talent Season 11. Cecile and Mighty performs at Casinos in Las Vegas Nevada, San Diego and International tours in Eastern Asia and some parts of the Middle East and Europe. Their show is very unusual, surprising, elegant, reaches all ages and with no surprise, it was a hit in Las Vegas. Cecile and Mighty has been seen by thousands of audiences in China and Thailand featuring Mighty as the only Filipino-American Magician Sword Swallower in the world.